Genetic canalization is the extent to which an organism is buffered against the effects of mutations. Waddington said “developmental reactions, as they occur in organisms submitted to natural selection…are adjusted so as to bring about one definite end-result regardless of minor variations in conditions during the course of the reaction”. Canalization can act to buffer against environmental perturbations, and selection for resistance to such environmental noise may also produce resistance to genetic noise. But right now I’m thinking about genetic canalization. Up to some point, the effects of not too many, not too serious mutations would be buffered: those mutations wouldn’t change the phenotype. In the same way, your typical tractor is not designed to nanometer tolerances: parts can be somewhat out of spec – up to some limit – without messing up performance. And that tractor is better than one that did require nanometer tolerances, which we couldn’t manufacture. A genotype that had high fitness, but only when everything is perfect, no mutations, could on average be competitively inferior to one that had lower peak fitness, but in which that fitness didn’t decline rapidly with increasing small-effect genetic load – a fault-tolerant design, a fitness plateau rather than a sharp peak. This has been called ‘survival of the flattest’. Remember when I talked about compensatory mutations in small populations making up for increased load from inefficient selection? This is the just the long run of that trend: eventually compensatory mutations develop into canalization mechanisms. Canalization is a product of natural selection. There would be stronger selection for efficient canalization in a species with more genetic load: in particular, in a species that over the long haul tended to have fairly low population size. So you might expect to see stronger genetic canalization in big carnivores than, say, mice. And you would probably see it in the great apes and hominids as well: I don’t think that we were ever numerous until recently. Surely primitive, Oldowan-type hunter gatherers had lower population density than later, sophisticated hunter-gatherers, who had much improved methods. And those later, sophisticated hunter-gatherers weren’t exactly overflowing in numbers themselves. So, maybe people have strong canalization. It could be that this let Neanderthals keep the show on the road for hundreds of thousands of years even though their effective population size was small. And we know that they did keep the show on the road: theory suggests that anatomically modern humans should have walked right over them on first encounter (last interglacial) – but that didn’t happen. How much can species’ “fault tolerance” differ in magnitude, and how quickly can/does natural selection act on it compared to “normal” traits? So evolution sometimes does have a specific goal. Or at least a direction that you can predict, given conditions X, Y, and Z. These buffers would be nice in the short term. But wouldn’t they also work against potentially favourable mutations? Or mutations that are maladaptive now but might become favourable if they’re allowed to drift a bit more? It seems like canalised creatures would keep getting stuck on some local maximum. Compare with Bostromian hill climbers, which converge on a shallow peak because getting to the maximal height requires that they journey through a valley. Yes, canalization describes a stabilization mechanism, which would have to work both ways…In the auto industry, tolerances were greatly reduced when the Japanese entered the market with better manufacturing methods….Does that happen in Nature? Did the Neanderthals lose out because they couldn’t tighten up their tolerances, or because they needed to loosen them? I wionedered also about the teleology of tractors to do tractor-stuff, like drag things around, because they are designed things, I have been trying to construct other metaphors without success. I also worried about local maximums, but they would only have to break out once per trait. Well no, that’s not quite so either. Thinking about tractors, the basic tractor design is inherently hazardous – two big back wheels with huge amounts of torque applied to them is asking for the thing to flip over backwards. Which happens with monotonous regularity. Most tractors have no protective cab for the driver, and no seat belt either. A very hot exhaust pipe sticking up unshielded on the front. A tendency for farmers to climb down off the tractor while it is still running to clear obstacles, bash a stump out of the plough or whatever, and the tractor runs over them. Lots of tractor accidents keep happening, but no one improves on the basic design, I guess out of cost considerations – farmers would prefer to live with the risk than to pay for more expensive tractors. Large tolerances on working parts so they can make running repairs to keep the tractor going if they are ploughing, sowing or seeding. Over the period where we have seen really a lot of safety improvements in passenger cars, the basic tractor design has remained essentially unchanged. The same applies to a lot of farm machinery. I ploughed and put a crop in for a guy one year because a grain augur had removed all of his fingers. No guard on the grain augur, and he stuck his hands into it to clear a jam or something. Crunch – no more fingers. So, in the context of canalisation, the basic design remains the same because, although inherently hazardous, tractors don’t kill enough farmers to compel someone to outlaw the design and enforce a safer design. They kill farmers, but at a low enough rate to be tolerable. And the very people they kill have a vested interest (money) in not insisting on design changes which would make for more expensive tractors. Quad bikes are the latest. Quad bikes used on farms are killing heaps of people, but people are still using them. Country towns in the USA commonly don’t have gates that come down at railroad crossings. So the trains reap a yearly harvest of cars. It seems crazy but somebody somewhere did a cost benefit analysis on this and I guess the dead people crushed by trains is low enough to make it worth it. What the trains do is blast their ridiculously loud horn all the way through the town each and every time they go through these podunk towns day and night. I guess people get used to it but I didn’t, the goddamn train woke me up every two hours all night long. Country life ain’t what it used to be. You can only find work in retail at minimum wage, farm work is typically done by latinos. The factories are closed. If you go to the local seven eleven before the crack of dawn you find young people hanging out, extremely alert and quick with their talk and mannerisms. Crackheads. It is weird seeing this poverty, because these small towns are islands in a sea of corn, literally food as far as the eye can see. You forgot the power take-off shaft, which is another big hazard. Perhaps future tractors will have electrical drive and PTO. Yes, you are right. I’m not confident we’ll see major changes to tractor design any time soon though. Someone ran us through the hazards of tractor design when I was an engineering undergraduate 45 years ago, and nothing has changed. That’s part of why outbreeding is mandatory (or strongly preferred) by so many organisms. Self-crossing eliminates mutations very rapidly, discarding anything that isn’t maximally fit. Which means that the species as a whole can’t archive mutations for later potential use. When conditions change, and the fitness space changes with it, there won’t be any alternatives which might do better given the new needs. Still reading a bit about Waddington. Simple ignorance on my part, but when I read “developmental reactions, as they occur in organisms submitted to natural selection…are adjusted so as to bring about one definite end-result regardless of minor variations in conditions during the course of the reaction” I imagine that some force would have to “know” what the definite end-result was. How? Canalization seem to describes a process of “buffering”, and that buffer must either have an end point in mind, or at least a status quo maintenance function. I notice that some might considere this to be, ahem, an epigenetic phenomenon. I had been under the impression that many of the features we once thought distinguished “anatomically modern” humans from others (for example, language) weren’t as unique as we once believed them to be. And it’s not like they’re Australian marsupials isolated for so long they could no longer interbreed with “old world” populations (plus, Eurasia is hardly smaller than Africa). I understand that the Neandertal diet is supposed to be more meat-heavy, perhaps because the colder environment was less conducive to other foods humans might eat, and that might support a smaller population, but modern humans who moved in would eventually have the same problem. I also understand that they didn’t have clothing whereas moderns did, but I’m not sure how important that is. I don’t think that Greg is talking about any particular advantage like language, but about mutational load due to low population. The choice of the word “theory” suggests something abstract and highly applicable. Cf his post “Degenerate Neanderthals,” the only link in this post. Sounds like a double edged sword to me. So what is an example of a species and a trait with low canalization? Is there anything peculiar to the brain and g with respect to canalization? Interesting idea, peppermint. But what evidence have you that non-IQ behavioral genetic traits necessary for [a] civilization to thrive are being lost? This implies that [a] civilization is supporting the reproductive success of traits that will reduce the spread of that civilization. Have you considered selection between civilizations? Those that inculcate their prerequisite customs successfully have opportunities for stasis if they outcompete, but those that don’t will oscillate around some equilibrium or take off in runaway ‘progress’ (I agree that this includes bloody/inefficient possibilities). During the last two world wars, for western democracies, much of the selection for fighting men dangerous work was decided by psychologists. Given what we know of psychology at this period, and the fact that many men (compared to totalitarian states further east) were volunteers, was their work eugenic or dysgenic ? Speaking of human breast milk, a fairly early research conclusion was that larger breasts do not produce more milk on average than smaller breasts. This conclusion could only be possible if the research was confined to one race, presumably to Europeans. It is now known that human breast milk also contains millions or even billions of stem cells. No one knows what they do, but it’s likely they do something. I am wondering if resistance to malaria had something to do with it. In the early days of British settlement in Hong Kong, the British established a military barracks in a swampy area where the local farmers were wet-farming rice. The barracks had to be abandoned within a fairly short while, because all of the British soldiers stationed there died of malaria within a fairly short time, while the Chinese farmers happily continued farming, apparently unaffected. Northern China has no malaria, but if the EDAR variant became fixed 30,000 years ago, that would be an irrelevance. I think if the EDAR variant provided malaria resistance, it wouldn’t be confined to East Asians and related populations. At least not given its age. Yeah. That was an impromptu guess by me that I would take back if I could. But I was thinking about the malaria resistance of those farmers just recently – no one I know of had spotted that. There are plenty of historic notes on the fatality rate of early white settlers in Hong Kong (the average life expectancy of a British person who went to live in Hong Kong was about 3 years – not just malaria, but other diseases as well, plus a plague epidemic in 1894 which had a death rate of 90%. And I realised that no one I know of has spotted the anomaly that Chinese farmers were wet farming rice, apparently unaffected, in an area that was very quickly fatal to Brits due to malaria. I think the truth is that no one writing in English gave a damn about fatality rates in Chinese at the time. Chinese in Hong Kong were considered to be sub-humans until WWII – various areas they were not permitted to enter or live in, organisations they were not permitted to join, etc. The “no dogs or Chinese” thing was apocryphal, but it was close to the reality of the day. There needs to be a mechanism, or several mechanisms, of genetic canalization – the question is what are they? I don’t think any of the putative answers I have so far encountered (e.g. Maynard Smith and Szathmary seemed to define the problem of ‘The major transitions of evolution’ (1994 and 5) – without suggesting any substantive answer). It depends on how big a problem mutations are considered to be; I assume they are a very big problem indeed. At any rate, the mechanisms must be adequate to the magnitude of the problem – especially given that any mechanism of canalization would have to evolve in a context where it would itself be susceptible to the same problem it is trying to solve (i.e. spontaneous mutations would be sabotaging the evolution of any adaptive canalization mechanism designed to solve the problem of spontaneous mutations). According to CH Waddington, what is “load” now may be precious in the unpredictable future, when certain new qualities will certainly be required. He said it was very important not to try and get uniformity of genetic potentials by weeding out the genes that, when they do break out of canalisation and come though to expression at the present time, result in people who may seem rather odd, eccentric (or annoying). AK 47 vs M16 situation. So at end, good enough designs with more room for error work better than absolute perfect designs in the species. This might explain that some species can out survive dinosaurs. If natural laws for survival have any implication for human societies, than perfect societies might be at risk of collapse. A society with enormous buffer power can last very long time, which is ……….. So survival of a species or population can have diverse ways of mechanism: population size, genetic canalization, fast genetic mutation rate/adaptation, fast learning ability, outbreeding, adaptive introgression, many others. There is no superior or inferior way of survival. Whatever made it counts or extinct at end. Razib has a post about adaptive introgression. Regarding “fast learning ability” = IQ,(it is mental ability to figure out what is going on correctly and make correct decision for it.) This very genetic mental ability itself might create genetic canalization for wide variety of human mutational loadsif you think about it. Today people with all kind of mutations can survive due to this very reason. Our ancestors could notice some one died after eating some thing. Then tell the anecdotal story to others and their children. Enough pro and con anecdotes form objective evidences (data). So every body can avoid the disaster. This needs mental ability of connecting dots (death and eating), long term memory and language to achieve. A new mutation in human or food cause toxic effect which can be quickly taken care of by mental ability instead of waiting passive evolution to develop new adaptive mutation with genetic taste aversion to new toxin. (bitter taste is often associated with lethal plant). It’s a lot more complex than that. Australian Aboriginal people traditionally ate plants that were only rendered non-toxic after quite a bit of complex processing. The question is how they hit on the process that rendered a toxic plant non-toxic and suitable to eat. You can think through some humorous process of trial and error with test subjects, like “Nope, he died too, so that can’t be it. We need to try some other complicated process”, but it can’t have happened like that. Treat it as analogy. Do not take it literally. Maybe knowledge about mushrooms is better example. Unless the plant is SO toxic that consuming even a tiny bit of it is lethal, there can be a simple trial-and-error method. Just keep processing and taste-testing the plant until you find something palatable. Notably plants and fungi which have a long delay between consumption and effect, and whose toxins have no taste or smell, aren’t eaten even by native peoples. No one bothers trying to make the Destroying Angel edible, and as far as I know no one ever did. Not worth the effort. I’ve known druggies who were constantly experimenting with common substances looking for new ways to get high. I own both AK and AR15 (civilian semi-auto copy of M16). My AR15 start to jam after shooting about 100 rounds and need to clean due to perfect fit of gun parts which tolerate very little debris. My AK never jam even after thousands rounds due to loosely fit parts. 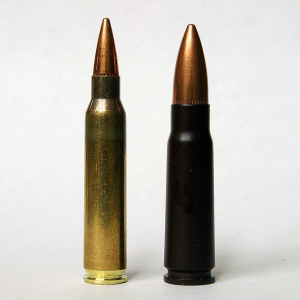 The most important thing is the taper shape of AK ammo and gun chamber which create easy extraction of shells and tolerance of debris build up in chamber. 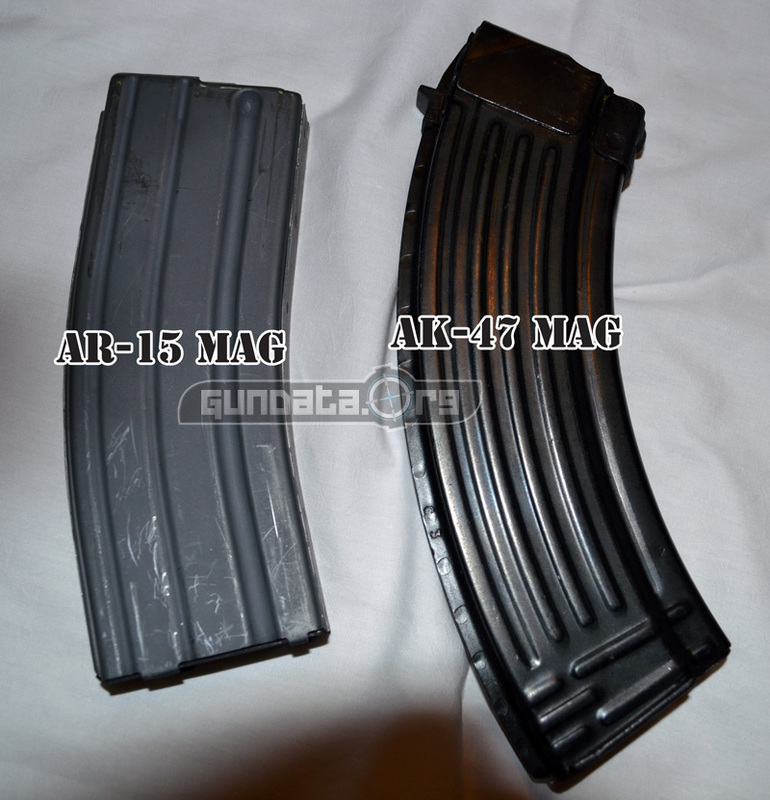 Due to taper shaped ammo, AK magazines take on more banana shape than AR15. If the human genome comes in with mechanisms designed to mitigate the effects of load, whose to say it works just on IQ? And then, if so what does cause variation in IQ within populations? This is a small but albeit budding field and has been for some time. Think about DE-canalization, and then think about variability as indicative of the balance between stability and adaptability. Read the work of Greg Gibson, Hiroaki Kitano, Sui Huang, John Quackenbush, Jessica Mar, and Andrew Feinberg. Another indirect piece of evidence for the evolutionary value of canalization in humans is the messy failsafe pregnancy that humans have. The initial implantation of the fertilized zygote is almost adversarial, humans have low fecundability and high miscarriage rates compared to other mammals … and it appears to be because the mother is effectively screening against the hazard of devoting too many resources to an unfit fetus. I wonder whether other animals with notably low fecundability (tigers come to mind) are in a similar situation. When I posted my response, I didn’t see yours. I think we might be thinking along similar lines. This makes sense. DNA segments responsible for IQ may be very much linked to the fundamental genes that are responsible for fetal/in-utero development and growth. The latter kind of genes, again, are fundamental, in the sense that a mutation to any of them (especially, when reflected homozygously) leads to death. The other, IQ based genes, are epistatic to it and (likely) each other. A heterozygous mutation to one or two or three of them doesn’t render the phenotype non-viable. In fact, it’s likely that there could be none to almost-no effect. Think of it as these genes forming a RAID-protected memory granule. I further think that because of selection, there is linkage disequilibrium between these IQ-enhancing genes: both between each other and the fundamental developmental gene upon which they “grew” around. This renders homozygously expressed mutations on these IQ-enhancing genes as lethal to the specimen exhibiting them, likely making it non-viable in utero or shortly thereafter. This is why children of older fathers tend to be in the same intelligence range. They may exhibit other problems, but not usually with regard to IQ. It’s because the mutations that impair such function homozygously just cause very early death. Chanda Chisala proposes canalization to explain U.S. black IQ.